I have been into different martial arts since I was very young, but at the time mostly because of the movies and I wanted to be able to do what Bruce Lee could do. It was not until later on that I discovered that there were a lot more benefits to it besides being able to fight. Most people will probably say that it is a good workout and you can learn how to defend yourself. This is true, but it merely scratches the surface of the benefits you reap from practicing martial arts. Before we dive in to the benefits of martial arts please note that there are also fighting styles that are purely made for hurting (in my opinion) like ninjutsu, krav maga and ultimate fighting. Although I do dive in to some of those as I study Chito Kan (house of systems founded by Bruce Lee’s student Soke Pierre Myer) I am mainly focusing on the benefits of the martial arts that has a positive peaceful philosophy behind it. Working at the computer all day on my hotel and resort booking site I sit still for long periods of time. So it is good to get your body moving and martial arts are really good for this. In a lot of sports you will only use some of your muscles, but here you will use them all and you will be sore in places you didn’t even know existed. In my case I practice Chito-Kan (House Of Systems) where you are not only practicing for example Karate, but many different types of martial arts like Capoeira, Kobudo, Ninjitsu and many more that each are very different and forces you to use your body in different ways. So it is never the same workout you get. You will not gain big muscles like at the gym (pretty muscles) that are mostly just for show, but you will lose a ton of fat and harden your muscles getting more defined and you will notice you will be able to do things you could not do before. With today’s technology and an increasingly competitive work market there are more and more factors that can increase your stress levels, distract you and even affect your focus and memory. Martial arts has many tools to help fight this and and get you on the right path. For example, katas which means imaginary combat are are detailed set of moves that you can do every day and they really help you memorize and throughout the exercise itself it will release stress and help you regain focus when done right. With the stress relieving and focus enhancement effects of the katas and also workouts your confidence will grow with it. 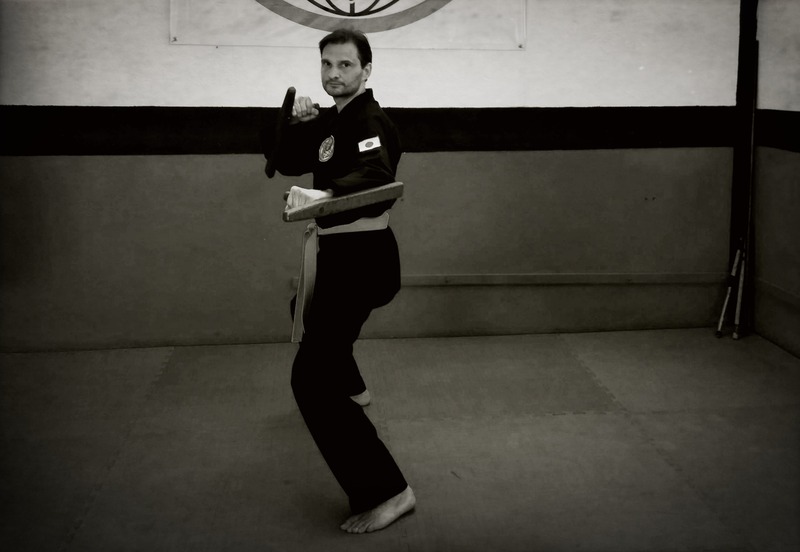 As you start to practice martial arts you will notice starting to feel a lot calmer than you used too. This is not only because of the physical work you are doing, but if you have the right teacher the great philosophies behind martial arts, you will start to absorb them and integrate them into your life getting a much more healthy and balanced spirit. Some martial arts go deeper into spiritualism like Tai Chi that also dives into meditation and alternate healing and health techniques. After training for a while you will also get to know your body better expanding it’s capabilities which will also help towards getting more in tune with body, spirit and mind. If you think martial arts could help improve your quality of life I suggest you check our a lot of different schools and styles to find what fits you the best. It is very important that you get a teacher that not only loves martial arts but also put importance of the philosophical part of it. Do you practice any martial arts? What benefits have you found it to give you? a title boxing club opened up near where i used to live. my wife and i joined mainly to get off the couch. we both had drifted into sedentary lives. neither one of us had ever done any sort of fight training, but it really scratched an itch i didn’t know i had. we moved and left title and began going to a ufc gym that was closer. that is where i discovered another level of benefit. i began to grow in confidence, even to the point of actually sparring with other fighters, actual hands-on, bloody-nose, type of training. it was something i never knew i wanted. i completely agree that fight training has made my life richer and will continue to pursue it for as long as i am able.